Around May 24 of this year the Kingston Oklahoma area was deluged with rain storms that flooded rock solid, parched grounds. Since homes are not built with basements in most of the south, people saw water in their living rooms up to 1’ high. On June 18, new rains and swollen rivers and lakes flooded those same homes. Homeowners were then seeing flood levels of 2-3’ in their living rooms. Our UMC East Ohio Conference Early Response Team of 15 was divided in two and one team was sent to a Lake Texoma neighborhood while my team went to Tishomingo, birthplace of Miranda Lambert, her Pink Pistol gift shop and the Pennington Creek neighborhood. Both communities were feeling the stresses of disaster: confusion, isolation, helplessness and hopelessness. 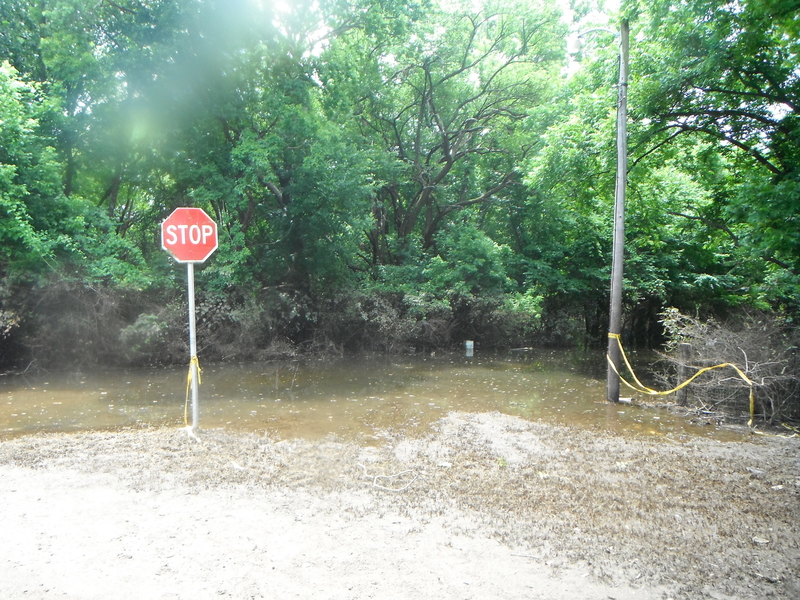 On the shores of Lake Texoma many families were devastated that their beautiful homes were soaked. Fortunately, they were able to move many of their possessions to upper floors, rent storage pods and stay with relatives or neighbors nearby. The community came together and helped each other find resources such as UMCOR Early Response to help when all seemed hopeless. The Lake Texoma team removed carpeting, some drywall and did mold remediation. In the Pennington Creek Community the lake and creek had flooded their banks, washed out roads, soaked living rooms, destroyed possessions and rendered people almost homeless from their small, one-story bungalows. Dennis, our homeowner was a recovering alcoholic with 2 years of sobriety. He had had 18 years until he found his wife dead of a prescription pain killer overdose. Dennis was rapidly running out of money to pay for the local hotel that had given him a discounted rate for 2 weeks. There we also met Donald, in his 80’s, staying at the same hotel but only for 2 more nights. We also had another senior stop and beg us for help as she was living in a borrowed camper next to her home until she could get assistance. 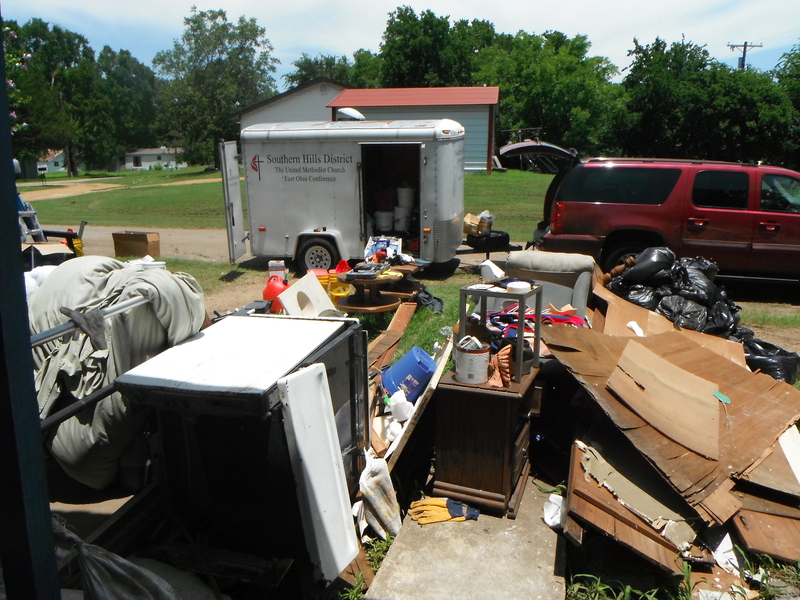 FEMA and the Red Cross responded to both communities after the first flood. But by the time our team arrived 2 weeks after that second flood, they hadn’t been heard from again. My team removed all of Dennis’s possessions out of his home. 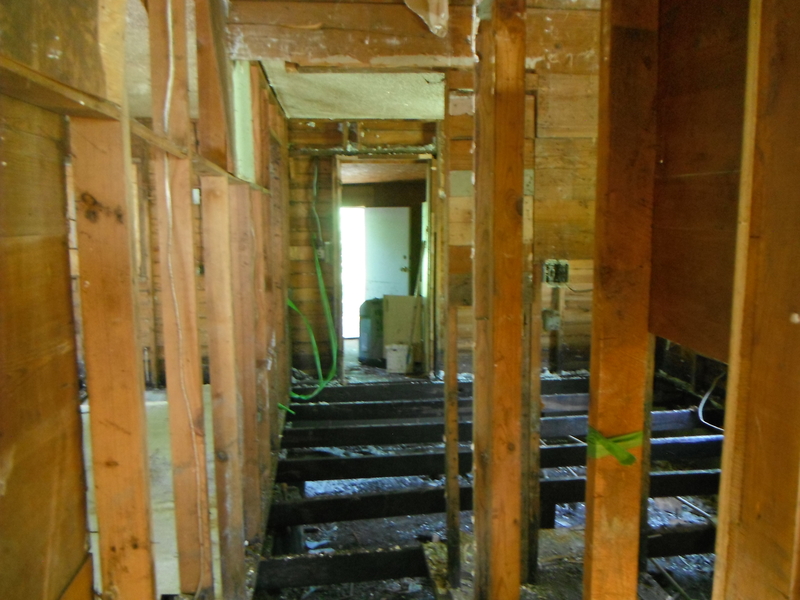 We removed drywall from floor to ceiling, removed moldy, wet insulation from all the walls, and pulled out paneling, hardwood flooring, linoleum, refrigerator, cupboards, bathtub and toilet. We literally gutted Dennis’s house. We had to leave all the debris on his front lawn because the city had not provided dumpsters to the neighborhood. Moldy, stinky piles were collecting in front of houses throughout the neighborhood. And just like his neighbor, Dennis was hoping to borrow a camper to live in next to his home until rebuild teams could help out. I’ve been on several Early Response trips and have always left knowing that I have been the hands of god helping in times of disaster. I have left with the faith that others will follow to finish what I had started – basically healing and rebuilding lives. But on day 2 of this trip I developed a nagging, uncomfortable feeling that I couldn’t shake. I talked about it with a friend and again with our Team Leader. The more I talked about it the louder my gut screamed and the more visceral my emotions became. I left Tishomingo with a deep concern that this poor, aging neighborhood would remain neglected and unserviced. On our last day, we heard hushed rumors that FEMA would be back to condemn many of the homes. In Your oneness, I find healing. In the promise of Your love, I am soothed. I continue to pray for the flood victims in Oklahoma and especially for Dennis and his neighbors in the Pennington Creek Area. I ask you to pray for them as well.